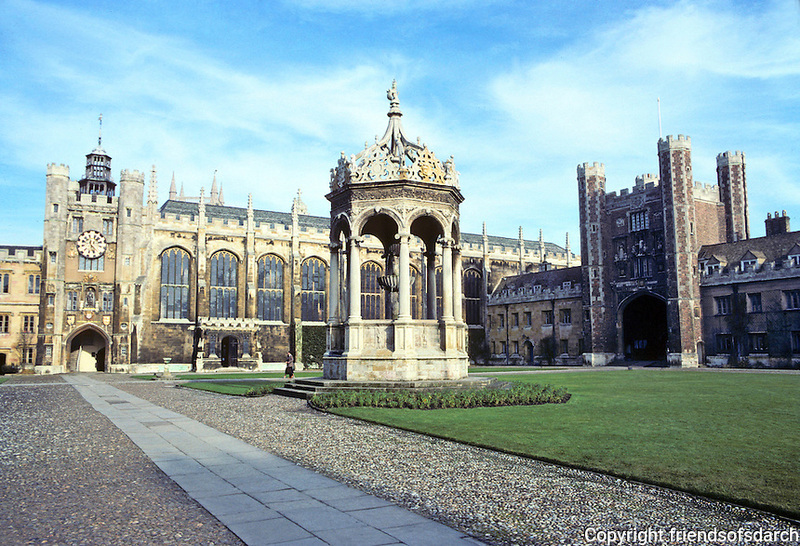 Cambridge: Trinity College--Great Court, canopied Tudor Fountain. Founded 1546 by Henry VIII. Photo '82.